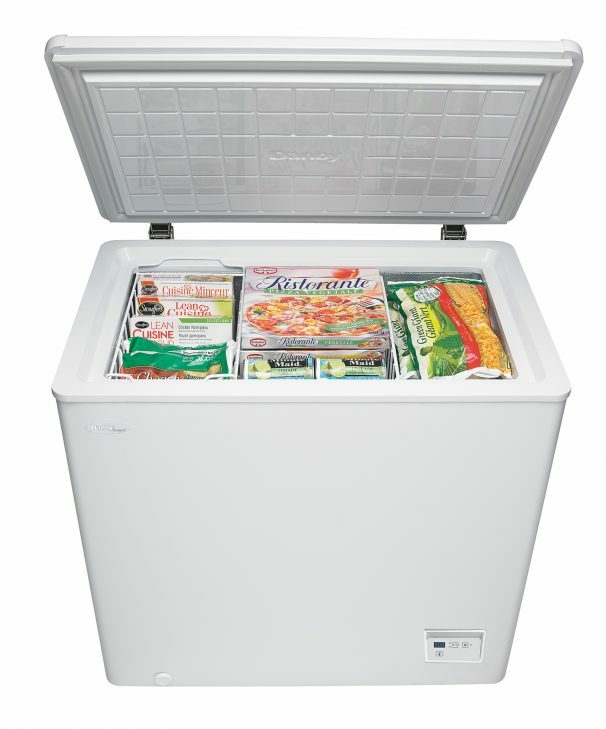 Efficiency, storage space and looks simply can’t be beaten with this economical and elegant chest freezer by Danby. The unit has plenty of space for all types of frozen foods as it offers 5.1 cubic-feet (144 litres) of storage area. It’s highly efficient with its Energy Star rating and highly economical as the cabinet and rounded lid are both constructed with foam insulation to keep the appliance as cool as possible while keeping the warm air at bay. It comes with a strong white-wire basket to help you separate your most popular and sought-after food items. 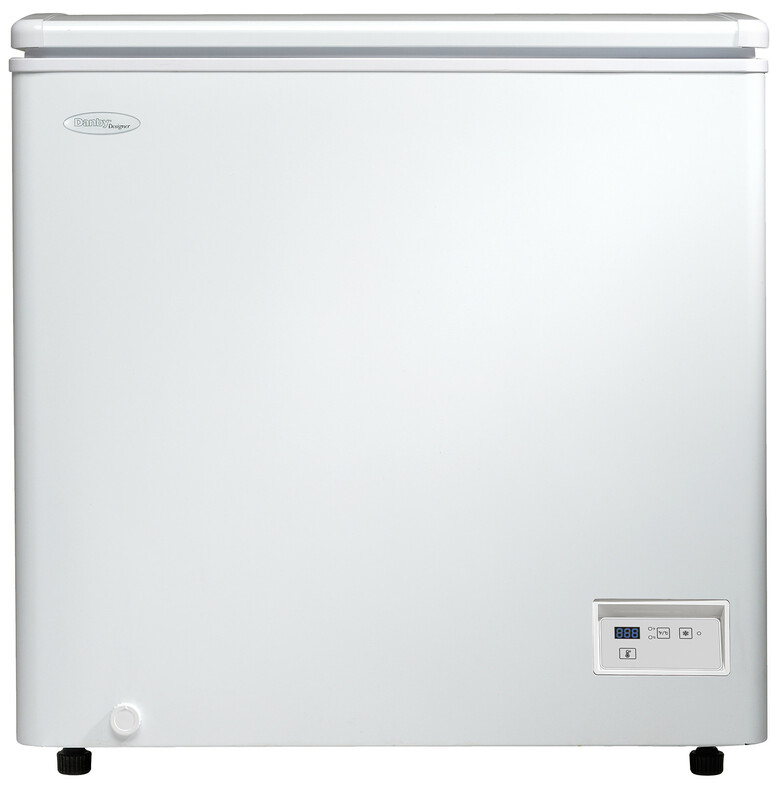 The interior lining of the freezer has been specifically designed for fast and easy cleaning while the manual defrost process is a breeze due to the convenient front mount defrost drain. The accurate digital thermostat is simple to program and monitor since it’s mounted on the front of the freezer unit and the fast freeze function is great for freezing large volumes of fresh product quickly. This freezer includes 18 month warranty on parts and labour along with handy in-home service. 56.36 cm 22 3/16 "
18 month warranty on parts and labour along with handy in-home service.